Tiny jets of water fire from a fountain embedded in one of Chiasso’s central squares. Diverse groups of young men sit casually staring at the ground, then at passers-by, then at each other. Some laugh, some smoke, and according to town vice mayor Roberta Pantani Tettamanti, some have bothered local businesses. 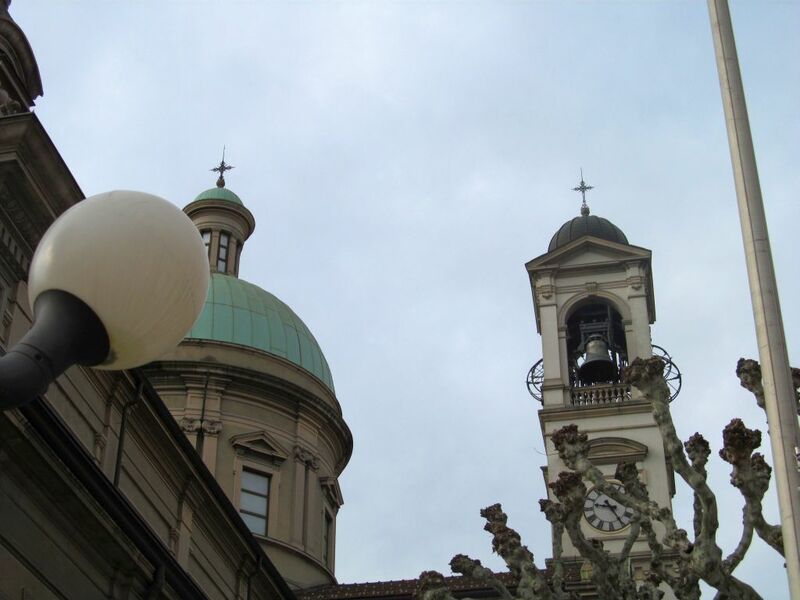 Tettamanti sits in Chiasso’s pink city building, a few blocks from the fountain and bank. A pair of federally funded, private security guards patrol outside, in the shadow of the San Vitale church. Tettamanti says refugees from Lampedusa have disrupted the city. Chiasso has always had asylum seekers, for at least 60 years. From Milan, through Como, Chiasso is the first Swiss town on the southern rail line. Police commander Nicolas Poncini says the problem is not refugees in general, or the asylum center, rather the motivations of some of the refugees. Poncini says the problems are cyclical: a few months flooded by refugees, a few months without. And he is adamant—he and his 35 officers don’t think all refugees are criminal, or all Nigerians, or all Libyans. But an increase in crime was evident. A few meters from the steps of San Vitale church sit two black men on a concrete wall. Both are dressed casually—jeans, polo shirts. Both came from North Africa, through Italy, into Switzerland. One of the men, from Nigeria, said poor conditions in Italy pushed him North. 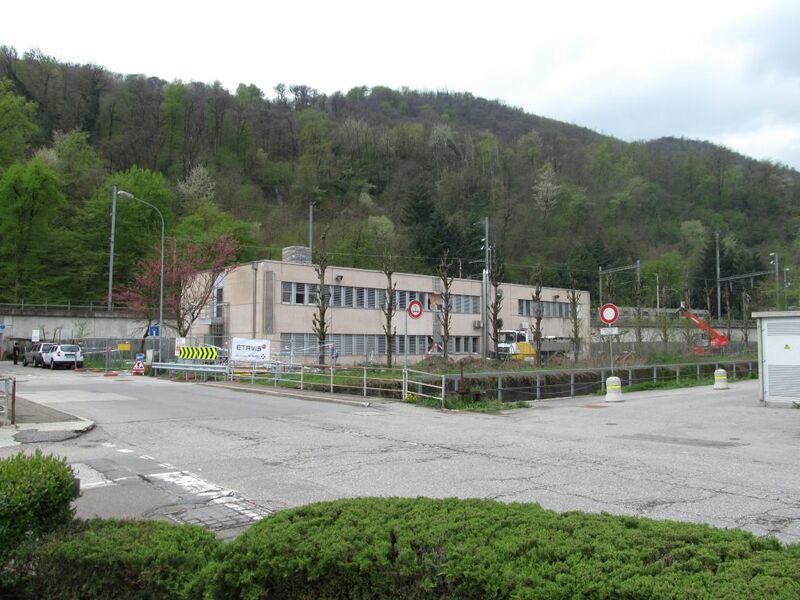 A Swiss refugee processing center in Chiasso. The man sitting next to him came through Lampedusa 2 years ago from Libya. He’s been in Chiasso two weeks, waiting for more details on his asylum request. But all he expects to get in Switzerland is time. 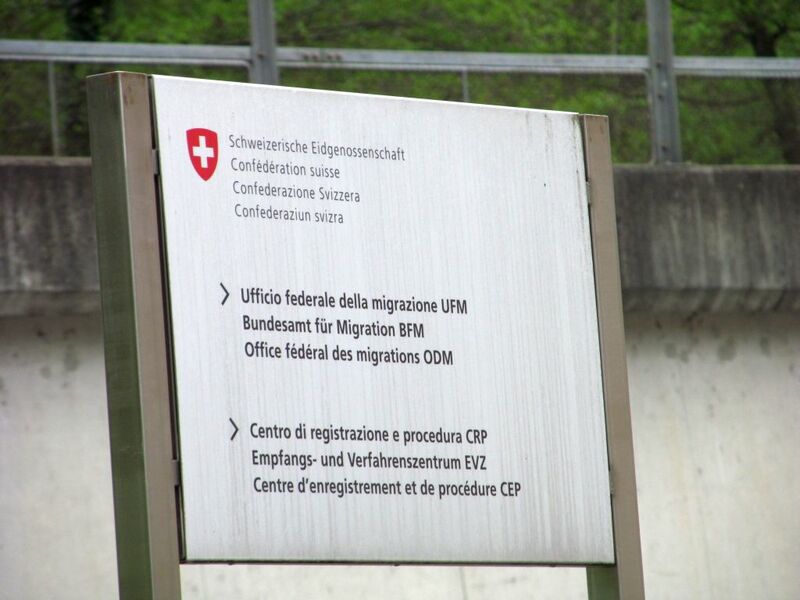 The men complain of benefits and conditions in Switzerland, but also of racism. They say police often target refugees, and police commander Poncini doesn’t deny it. But, he says, only with probable cause. Chiasso has tried implementing fixes of its own, for example starting a refugee worker program, but such things are under federal jurisdiction. Vice Mayor Roberta Pantani Tettamanti says between local, cantonal and federal officials all with different perspectives and duties, its complicated. She says Chiasso’s situation may not have been forgotten in Bern, but perhaps misunderstood. Chiasso police commander Nicolas Poncini tours the hang-outs and trouble spots for some asylum seekers in his town. Crime rates are cyclical, as are the numbers of asylum seekers at the local center, but he says one constant problem has been with drunkenness. Poncini says Chiasso hit a peak two years ago, as asylum seekers hit the Ticino border after traveling from North Africa through Italy. Since then, and since Chiasso’s letter to the federal government complaining about crime, added private security and refugee worker programs have eased tension here. Sign outside the refugee processing center in Chiasso. Roberta Pantani was vice mayor two years ago, and she has since been elected to the National Council. One part of Chiasso’s success has been a voucher program, giving asylum seekers coupons instead of cash to dissuade alcohol abuse. Pantani also points to a work program as having an impact. A dozen or two asylum seekers can volunteer to work in town, and interact with the community—interaction that police and politicians say is important. Mohamad Adryss says he is an Ahmadiyaa Muslim from Pakistan, seeking asylum in Switzerland. He stands talking to another asylum seeker who is part of the town work program. Adryss’ acquaintance did not want to be interviewed. Susanne Bolz is the head of the legal department at the Swiss Refugee Council. She acknowledges the successes seen in Chiasso, but ahead of a referendum on tougher asylum laws, she isn’t sure all measures seen in there can be broadened nationally, like those focusing on alcoholism. Back in Chiasso, police commander Poncini recognizes that crime two years ago was an extreme, that could not be dealt with for an extended period. Poncini would like to see changes to the penal code to allow his officers to punish asylum seekers who break the law. Right now he says he can do very little. But any change to the penal code would be slow going, and before that could happen, voters on June 9 will decide on whether emergency measures for tougher rules and other reforms should stay on the books.